Alex Imrie, The Antonine Constitution: An Edict for the Caracallan Empire. Impact of Empire, 29. Leiden; Boston: Brill, 2018. Pp. xv, 175. ISBN 9789004368224. €94,00. Precious little is known about the motivation behind the promulgation of the Constitutio Antoniniana (abbreviated here as CA), and as a result this topic has already been the subject of considerable study. Based on his doctoral dissertation at the University of Edinburgh, Alex Imrie's monograph examines the CA and seeks to offer a comprehensive assessment of the motivations for extending the franchise to all the inhabitants of the Roman Empire. He justifies his work by saying that the many previous studies have taken the CA outside of its cultural and historical context and have only assessed it against individual motivating factors. He argues that this has resulted in an exaggeration of the importance of such individual factors and maintains that his study will, for the first time, bring together all potential factors in order to make sense of the CA itself, within its proper context. The book contains an introduction, five body chapters, an epilogue, and an appendix. The introduction begins by discussing the research goals and moves on to provide a brief literature review that notes that research on the CA can be divided into roughly three areas: the Giessen papyrus, the effects of the edict, and the rationale behind the edict. He concludes that the area of study that remains the most controversial is that of Caracalla's motivations in promulgating the edict. He divides the possible motivations into two groups: practical and propagandistic. Chapter 1 provides both the historical and the literary context for the CA. The first half of the chapter sketches the major historical events that happened in the Empire between the death of Commodus at the end of 192 and the promulgation of the edict in 212. This time span is appropriate because the author discusses the Severans' rise to power throughout the volume. The second half of the chapter discusses the literary evidence for the period in question and for the CA itself. The CA does not feature prominently in extant contemporary sources, and those that do mention it do so often erroneously and only in passing. Of these, Cassius Dio bears particular scrutiny since he was an eyewitness. Here too, the CA is mentioned only briefly and only as part of Dio's critique of Caracalla's financial circumstances. Despite Dio's bias, Imrie advocates for a judicious use of his Roman History. He emphasizes that the relative lack and unreliability of contemporary works on the edict and its effects ought not to deter modern scholarship on the subject. Since brief contemporary mention of the CA can also be found in the works of Ulpian, it is in this context that Imrie brings up the crucial question of the emperor's role in the formulation of edicts such as the CA. He shows that Caracalla was unorthodox in his judicial role, moving beyond legal precedent, and acting more independently than his predecessors. He concludes that Caracalla himself was thus likely the driving force behind the CA and not his jurists. The argument is not convincing, however, both because of the lack of available evidence (a perennial problem) and because it is only possible to establish that Caracalla would have at least approved of the edict. There is, however, no reliable method of demonstrating Caracalla's personal influence on any of his legislation or iconography. Although Imrie does accept that the edict was likely conceived by Caracalla, the appropriate support for this hypothesis is thus simply not available. The weakness of this argument is unfortunate, because the remainder of the book rests on the assumption of Caracalla's personal involvement in, and therefore his personal motivations behind, the CA. Chapter 1 concludes with an examination of the one major contemporary source for our knowledge of the CA: the Giessen papyrus (P.Giss. 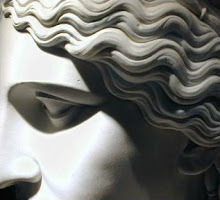 40).1 Imrie proposes that its style and contents are also indicative of Caracalla's personal influence in its creation. He further suggests that, since the edict was promulgated at a critical point in Caracalla's reign, directly following the assassination of Geta, the CA can be seen to address short-term legitimacy issues as well as more long-term financial and military goals. He develops these suggestions in the following four chapters. In chapters 2 and 3, Imrie examines the two practical rationales for the CA that are most commonly discussed. Beginning with the fiscal rational, he scrutinizes Dio's accusation that the franchise was extended simply to extend the taxable population. A more long-term perspective is necessary here, however. Severus' building program, his military reforms, and his manipulation of the coinage are salient predecessors to Caracalla's tax reforms, numismatic debasement, and creation of the antoninianus. In this context, Dio's suggestion, in concert with the references to taxation in the Giessen papyrus, seems convincing. Nevertheless, Imrie insightfully notes that since the imperial coffers were apparently not terribly strained at this point, the CA must have had a further motivation. Turning to the "military rationale," Imrie prioritizes the continuity between Caracalla's military policy and that of his father. He proceeds to discuss the influence that the CA would have had on the army in terms of legionary recruitment. Since the basic requirement to be a legionary was citizenship, the CA would necessarily have opened up the pool of eligible candidates for military service. With increased enlistment and increased pay, Caracalla would have needed increased cash. He suggests that, as with Severus, Caracalla's financial issue of was one of liquidity, linked to the need to pay soldiers. Thus, the two practical rationales, the fiscal and the military, are inextricably linked. Following his examination of the practical rationales, Imrie proceeds to discuss in chapters 4 and 5 what Caracalla's propagandistic reasons might have been for issuing the CA. He focuses primarily on two topics: imitating Alexander and securing the Empire. The first point uses literary comparison to discuss Alexander the Great's influence on the CA. He concludes that this association is impossible to prove, although certain Alexander-inspired literary tropes do indeed seem to be present in the CA. He keenly notes, however, that the desire for a "brotherhood of man" is a problematic topos that cannot be securely attributed to Alexander at all and is thus not a valid point of comparison here. In the same vein, the sources that mention Caracalla's obsession with Alexander are challenging, particularly because of the paucity of media, such as coinage, epigraphy, portraiture, and sculpture, that support these claims. Instead, Imrie concludes that Caracalla's interest was part of a tradition of Roman emperors seeking inspiration, a militaristic image, and even legitimacy from association with Alexander. Beyond the mild Alexandrian tropes, the CA also seems to serve a further propagandistic purpose. Imrie's argument that the CA served to bolster Caracalla's public image and legitimacy in a politically fragile time is convincing, because of its indirect relationship to Geta's murder. He argues that Caracalla's legitimacy was strengthened in three distinct ways. First, the religious ideology in the CA portrays the enfranchisement as an act of piety, while re-inventing the events surrounding Geta's death. Caracalla frames the CA as an act of thanksgiving worthy of the consensus of the entire Roman world. Second, Imrie suggests that the generosity of the entire edict serves to establish Caracalla's character in a positive light, which would certainly have been necessary after the brutal murder of his own brother. He then neatly draws on numismatic evidence to support these first two strands of ideology. Third, he proposes that the extension of citizenship made all new citizens beholden to Caracalla personally in a type of reciprocal exchange relationship. Undoubtedly, Caracalla could have expected an increase in tax revenue as a result of increased enfranchisement, but Imrie argues that such a show of imperial beneficia would also have traditionally been associated with goodwill and loyalty on the part of the recipients. While the evidence here is slim for such a patron-client relationship, it is clear that Caracalla promulgated the CA because of what he stood to gain from it, whether that be tax revenue, an increase in military enrolment, or increased loyalty. A brief, four-page epilogue summarizes the conclusions and ends with a call for further, more nuanced work on the contexts of the CA, particularly on the life and reign of Caracalla. Following this, the appendix contains a reconstructed text and translation of the Giessen papyrus with notes. Since this papyrus is at the root of much of the scholarly debate surrounding the CA, Imrie provides his own version of the text. From the accompanying apparatus criticus, it is apparent that this version is heavily based on the ten previous editions and offers no new readings. Nevertheless, the decision to accept one reading over another is well defended in the notes on the basis of Imrie's own reading of the papyrus. In conclusion, this book is a good introduction both to the CA and to related scholarship. Chapter 1, on historical and literary contexts, makes the topic accessible and interesting to a broad audience of specialist and non-specialist readers alike. The discussion of the practical rationales in chapters 2 and 3 is comprehensive and summarizes, with added nuance, the general state of scholarship on the matter. These chapters approach Imrie's broad question of intention by looking at two of the practical effects of the edict and suggesting that they in turn were likely motivations for its creation. The discussion of the propagandistic rationales in chapters 4 and 5 is slightly more challenging, with chapter 4 being a literary comparison and chapter 5 a discussion of Caracallan ideology. Since the effects of propaganda are hard to quantify, these two chapters rely solely on a discussion of intention. Imrie seems to recognize this challenge, at least in practice, with the result that chapter 4 compares the CA to common Alexandian tropes in literature and chapter 5 discusses the role that the CA might have played in Caracallan ideology and propaganda. Imrie's portrayal of all these potential rationales suggests that Caracalla would have had all these factors in mind when he subscribed the edict, which does seem unlikely. Rather, based on a nuanced discussion of intention and effect, Imrie might have been better served to discuss the propagandistic intentions alongside the likely fiscal and militaristic effects of the edict. These chapters would also have benefited from a brief discussion of propaganda and its place in the Roman world. That being said, the addition of numismatic evidence to this volume is a welcome inclusion that adds considerable depth. As Imrie concludes on the basis of his foray into the Caracallan world, much work remains to be done on this deep and complex topic. 1. The most recent edition is P.Giss.Lit. 6, published in 1994.